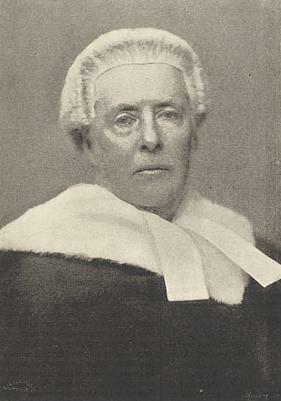 Wilde's second prosecution was headed by England's top prosecutor, Solicitor-General Frank Lockwood. Although the trial resembled in many way the first, the prosecution dropped its weakest witnesses and focused more heavily on its strongest. Lockwood had the last word in the trial, and used it to offer what Wilde described as an "appalling denunciation [of me]--like something out of Tacitus, like a passage in Dante, like one of Savonarola's indictments of the Popes of Rome." After over three hours of deliberation, the jury returned its verdict: guilty on all counts except those relating to Edward Shelley. Wilde swayed slightly in the dock; his face turned gray. Some in the courtroom shouted "Shame!" while others expressed their approval of the verdict. At 5 p.m. the day after his libel trial had ended in disaster, Wilde learned that an arrest warrant had been issued from Bow Street. An hour and ten minutes later there was a knock at the door of his hotel room and several plainclothes officers entered. "Will I be allowed bail?" an obviously intoxicated Wilde asked his captors. Witnesses said Wilde's complexion was particularly ashen when he learned from police that he would probably not receive bail before the trial. Taken to Bow Street, Wilde entered a not guilty plea, bade his friends and supporters farewell and was taken into custody.